The JAI Apex series of 3-CMOS prism-based color-area scan cameras from JAI AS has been expanded with five new models. The range now features 3.2- and 1.6-MP versions, with PMCL (Power over Mini Camera Link), USB3 Vision, and GigE Vision interfaces available in each resolution. 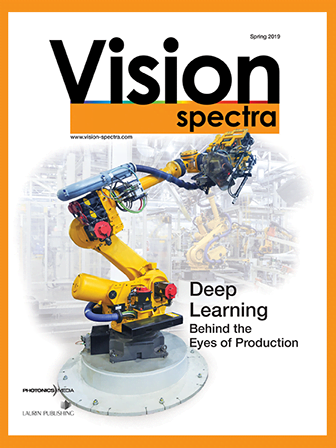 All six models are offered at prices well below previous 3-CCD models, enabling machine vision designers to more readily benefit from the exceptional color fidelity and spatial precision of three-sensor prism technology compared to Bayer sensors. They are also supplied with several preprocessing functions that are particularly useful for color-critical imaging applications. With a choice of PMCL, USB3 Vision, and GigE Vision interfaces to suit the particular application, the JAI Apex 3-CMOS series delivers high resolution and high frame rates. Combined with the PCML interface, the AP-3200T-PMCL and AP-1600T-PMCL can output as much as 3 × 3.2 MP at 55 fps and 126 fps, respectively. When you click "Send Request", we will send the contact details you supply to JAI A/S so they may respond to your inquiry directly.